Indeed the Great Northern oozes history, in a rapidly declining historical part of the town. I particularly enjoyed the lack of poker machines. It’s a place where people meet and chat over a few beers. The only concession to modernisation was a couple of large flat screen TV’s, perched high up on the walls, but these were not intrusive and in my opinion, perfectly acceptable. 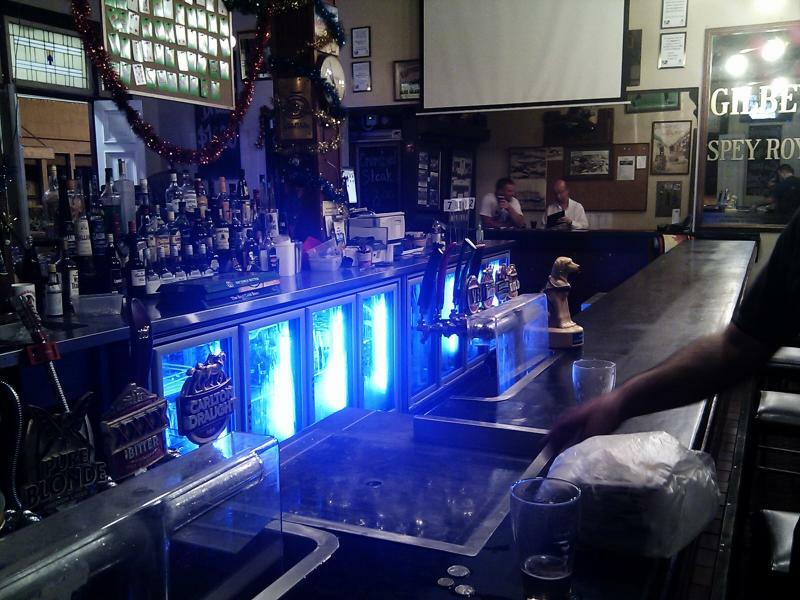 “When in rome, do as the Roman’s do”, they say and perhaps it was appropriate to show a couple of likely lads arguably the choicest pub in Townsville, when it comes to classic pubbery. Not that this is a real word, but it works. 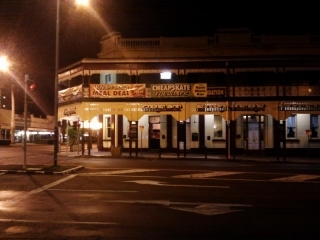 One thing that the majestic Great Northern Hotel does do well, is exude the charms of its links with the past in such a manner that makes the punter actually feel that they are in a far north QLD hotel. 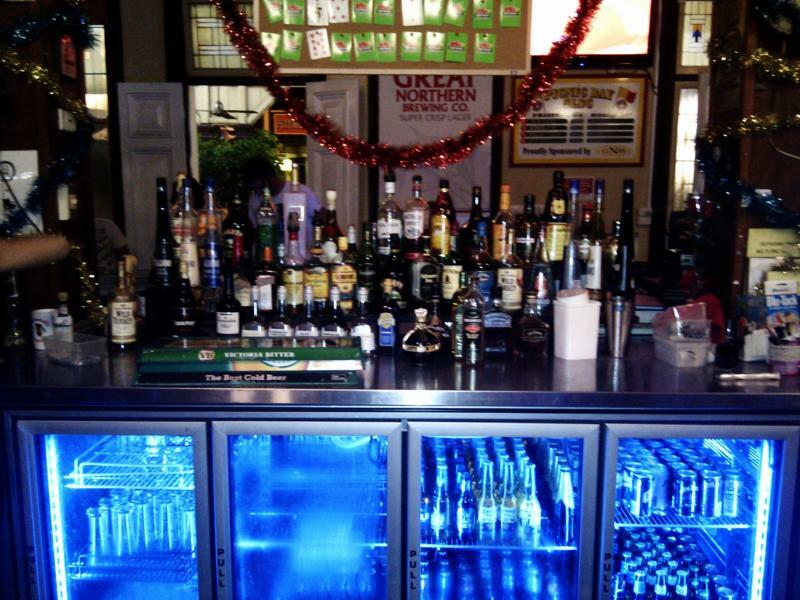 Far too many classic establishments have secummbed to the ways of the modern “venue” and have become internally no different to that of their counterparts all across Australia in becoming air-conditioned sterile pokey infused boxes, rendering them ambiently bankrupt. 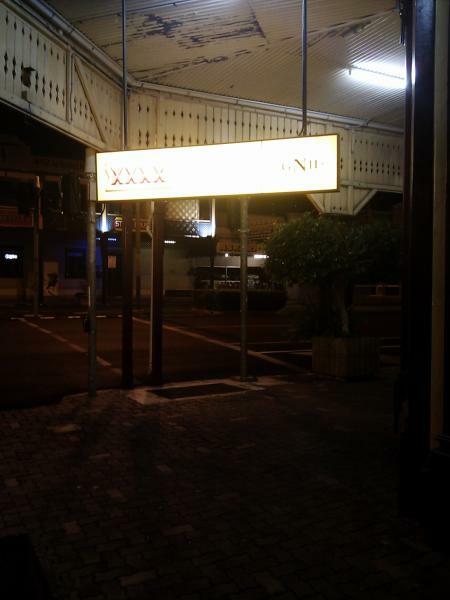 This classic watering hole still lets you know you are in Townsville, with its fresh air (often infused with the smell of rain) wafting freely in one of its many open doors and windows, and then circulated by period friendly ceiling fans – both inside and on its inviting verandas. 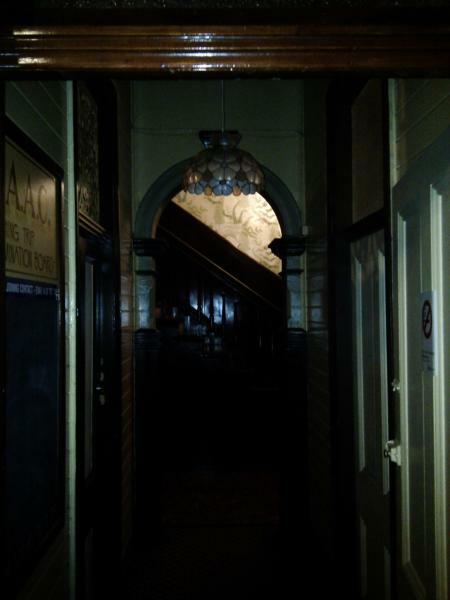 Typical of a pub of its era (built in 1900), its a building with lots of different areas – the usual upstairs accommodation, a large “Chandleier room” which does well to contain larger functions, a dark but cool and pleasantly air conditioned lounge bar (that has had various different uses over the last few years), a pokey room that sits off to the side without allowing the vexatious noise interfere with the proper ambience of the pub), a downstairs cellar that is accessed througha small cupboard door in the main bar, and a downstairs “mens” that appears to be built into a former air-raid shelter – (something that needs to be quantified, but of it isnt, it sure well could pass for one)! 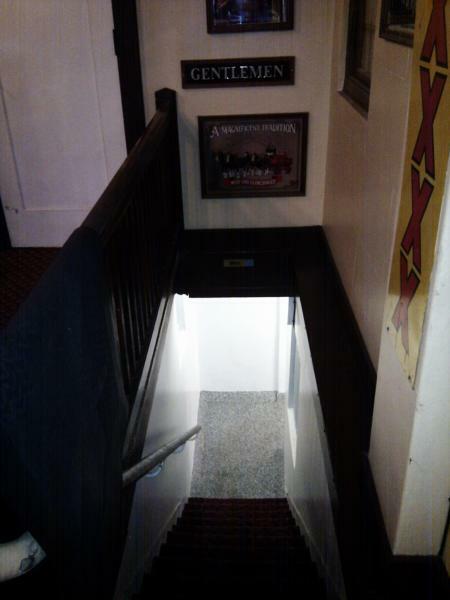 There are also various little hallways, stair cases, nooka nd crannies that if one puases only for a moment, one can smell, feel and absorb the many era’s that this pub has survived through. Remember – just like great-grandma, she too has survived two world wars!! Friday afternoons are the highlight, with XXXX off the wood being served from 5.00pm. Whilst the writers experiences havent been as palatable as that of the same brew served at the famous Breakfast Creek Hotel in Brisbane, it has to be taken into consideration that the wooden keg has to travel, and wouldnt be used as swiftly as the Brisbane product. 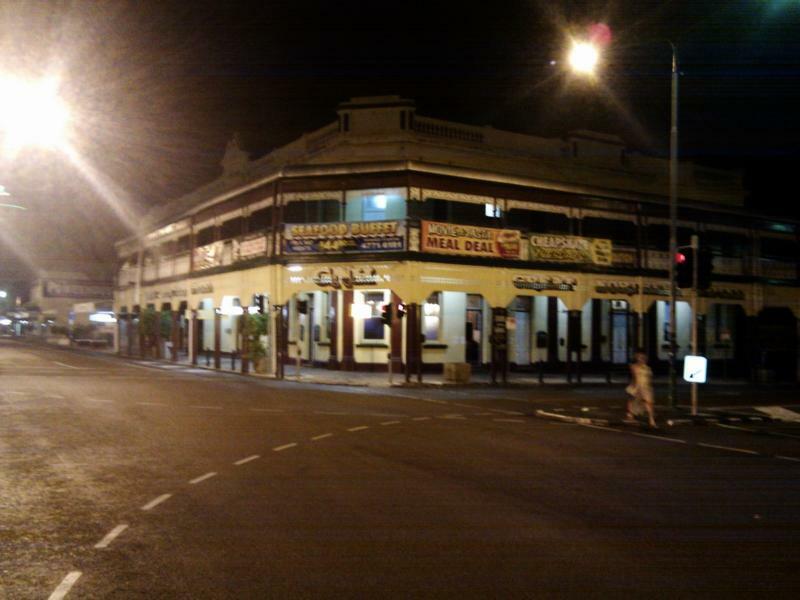 That being said, its still a remarkable drop, and a finer pub to enjoy it in whilst in Townsville, you wont see. With the old Railway station just across the road, it easily evokes the memories of the old train crews of yesteryear who rented rooms at this pub, and went to work on any number of adventures, driving all manner of antiquated machinery in a time of life when things were much simpler, much more relaxed and when blokes were blokes. It was most definitely a “railway” pub, and Im sure there was the lingering odour of diesel fumes, singal lever grease, coal soot and steam ingraine dinto its walls from all the tall tales that have been told under its roof over the last 110 years. In more recent times, it has been an excellent venue for functions, and serves delicious platters of finger foods for those Friday afternoon send-off drinks. For now however, she remains the majestic and proud pub icon of Townsville that serves its patrons from all walks of life with cold beer, cheap counter meals, and a pub ambience now sadly lost in a great many other places. 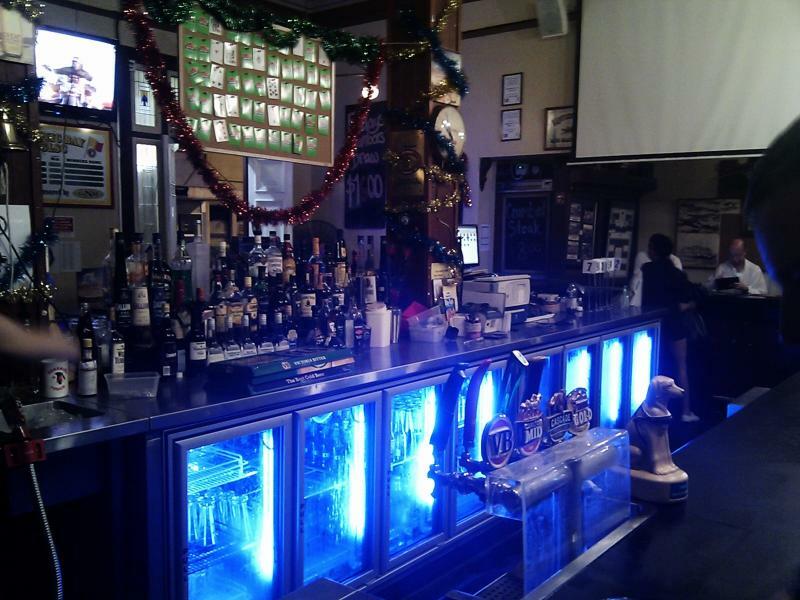 If you come to Townsville and its a nice cool sterile airconditioned pub thats exactly the same as the last 25 you may or may not have dropped into on your way up from Melbourne, then dont bother. 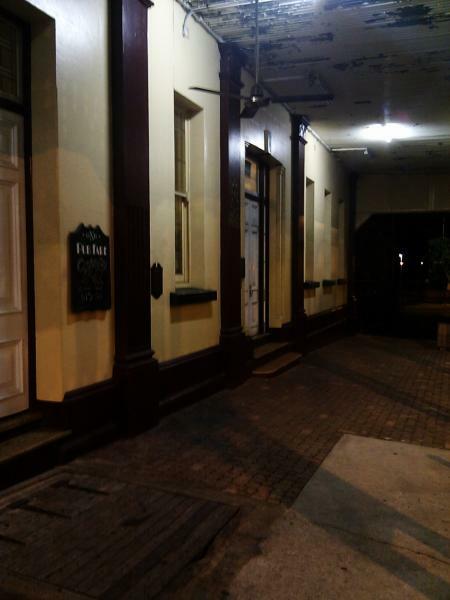 But if your seeking a real experience of a real pub that is both classy, full of character, and one that clearly screams “North-Bloody-Queensland” that serves cold beer with a smile, then you cant go past the great Great Northern! 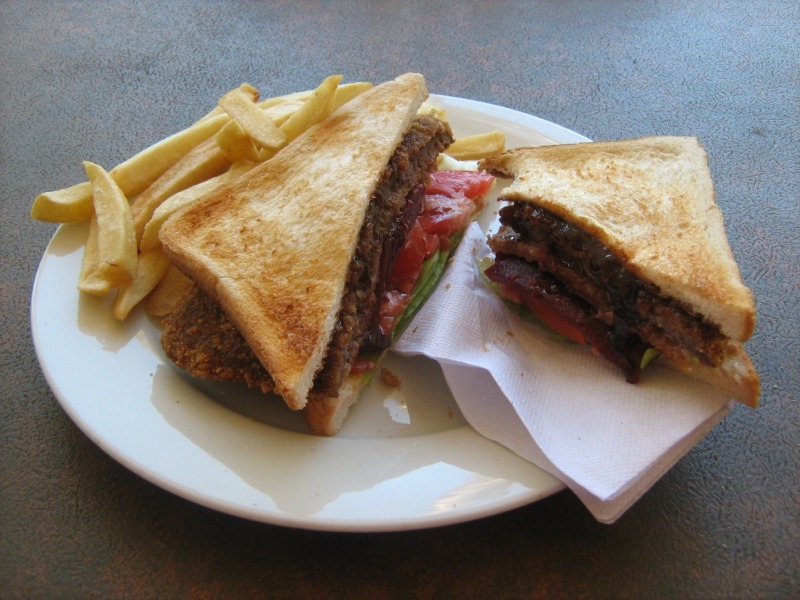 This entry was posted on 1 December, 2010, 9:32 pm and is filed under Pubs, Queensland. You can follow any responses to this entry through RSS 2.0. You can skip to the end and leave a response. Pinging is currently not allowed.